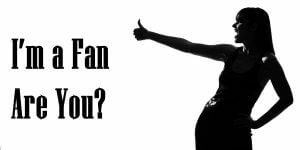 Im a Fan of Whyte & Associates, Inc.... Are you? Fill in the below form and you can recommend ‘Whyte & Associates, Inc.’ to a friend or family member via a text message. Show your support with a quick share of ‘Whyte & Associates, Inc.’. 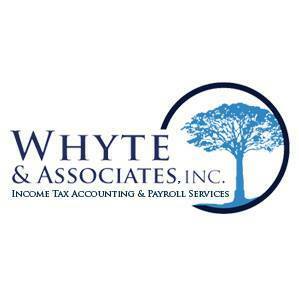 Whyte & Associates is a tax, bookkeeping, and payroll practice that has been around for over forty years. The company was previously known as ACME Bookkeeping. The companies’ focus is on you as the client and we strive not only for excellent customer service, but quality service as well. We currently hold a staff of about 7 individuals who are highly qualified to assist in multiple facets. Currently we have two enrolled agents who are federally authorized tax practitioners. Both with technical expertise in the field of taxation and are empowered by the U.S. Department of the Treasury to represent taxpayers before all administrative levels of the Internal Revenue Service for audits, collections, and appeals in all 50 states. The company also has a CPA (Certified Public Accountant) on staff along with two employees with Bachelor’s degrees in accounting. Our goal here at Whyte & Associates is to make a relationship with our clients so that they can feel free to call in or drop by to ask a question about taxes, or their bookkeeping account. Unlike other tax practices, which may be cheaper, Whyte & Associates will be here year around to help in any matter that may arise throughout the year. Please feel free to give us a call at anytime and ask to set up an appointment with Steve Whyte and he will show you what our practice is all about. Great team of people that understand what it means to provide excellent customer service. I have been a client of Steve for the past 5 years. Recently I also got to know Tony. Both gentlemen are very professional and responsive to my questions. They take time to ensure that we understand everything we need to about our taxes. Steve was able to correct a tax issue that could have cost my husband and I a lot of money. Having an Enrolled Agent as our tax agent was one of the smartest moves Eric and I ever made. We recommend them highly! Whyte and team are seasoned tax professionals….critical now more than ever given complex IRS codes/rules/forms/timelines. They take personal ownership in your situation and help strategize action plan to achieve best outcomes. Highly recommend. Jerry and Steve Whyte, have been our accounts for Tax preparation for over forty years….We appreciate the thoroughness of there work, and friendship over these years. Have been a Client for over 20 years. They are very professional and always there to help. Best service and always on time. Steve and Jerry are just “great” people and so are their staff. Highly recommend to any business. We began using Whyte & Associates, Inc., when we moved from Texas to Southern California. They assisted me with my IRA rollover and have been doing our taxes for over 15 years now. We have continued using them even after we moved back to TX. They are knowledgeable of all rules and regulations in all states and are there personally assisting you throughout the year, planning and preparing for any changes in exemptions or regulations coming down the pipeline. I have used Whyte & Associates for about 29 years plus for my liquor/convenient store (Divines Market & Liquor) Like every business your going to audited by the Stateboard, EDD, and or the IRS, not to mention your month end accounting. Well the staff there is knowledgeable and takes care of business with a professional attitude. Tony, has been my direct contact for the past 10 years at Whyte’s & Associates and he is one amazing person to work with from his knowledge and positive attitude. As a business owner he guides me with proper steps and processes to take with his expertise, he researches what has to be done and makes sure the process is simple. I recommend Whytes & Associates to any business or individuals that need their books taken care of. “They will do it right with professionalism and integrity “. (Sandi Thomas-owner operator). They’ve done my taxes for years. My meetings with Steve are always informative and help me to plan our tax strategy for our small business each year. They are prompt about communicating with us when questions arise throughout the year and are fair with pricing for their service. Whyte and Aaosicates goes above and beyond in their customer service. They make our accounting and payroll needs their priority so we can do our work efficiently. The staff is knowledgeable, friendly and professional. I highly recommend their services. Steve Whyte has been preparing my taxes for several years. He is thorough, knowledgeable, and trustworthy. His office provides prompt, courteous service in a professional manner. I highly recommend his services. I’m a fan! Love the Whyte family and their staff! Professional and friendly and always there to help! The Whyte family has been doing my taxes for years. When the young Whyte bought out his dad the service remained superior. It feels great to go in and know that you are in good hands and they have your best interest in mind. Love these guys!!! We’ve been going to Whyte for a couple decades. ❤️ Steve. Easy to get in and quick to get my taxes done! A+ SERVICE FROM THE ENTIRE STAFF. THEY KEEP ME ON TRACK AND INLINE YEAR AFTER YEAR. Steve has always been the best to deal with! Helpful and great advice in every way. I couldn’t imagine working with anyone else regarding my taxes (both business and personal) as well as great financial advice! They’re the Best. Been with them many years. Steve Whyte takes good care of me. I can’t imagine going to anyone else to get my taxes done. Always helpful, and not just during tax season…year round! Great service and people. Tony is a great asset to the company. Very fair pricing, highly recommend. Excellent folks to work with. Highly recommend them. 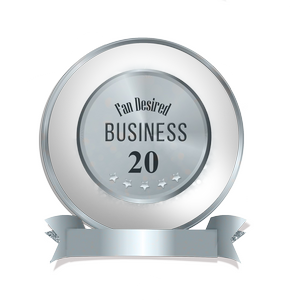 Have had a business relationship for over 20 years. Completely satisfied. Steve Whyte and everyone in his office are incredibly knowledgeable and professional, plus they are the nicest people. Their expertise and support in handling my tax filings for more than 30 years, not to mention their brilliance during my tax audit, have been invaluable to me, my business, and my family. I highly recommend Whyte and Associates. Whyte & Associates have been very helpfull and very informative. Their service is excellent. Turn around time is unreal. I look forward to many more years in our relationship. Its always a pleasure to work with Whyte & Associates. I get good solid feedback and service with a smile always! They keep me in line so I am not faced with a surprise bill at the filing deadline and always seem to get some money back into my pocket! Thanks ! Being a creative person, I depend on someone like Steve Whyte to handle my finances. He simplifies confusing information. His services are completed efficiently and ALWAYS with a warm smile. I highly recommend Whyte & Associates! Thanks for your help! Love these guys! Not sure what I would do without Tony’s help digging my business out of the hole our last accountant got us into. Highly recommend! We filed our 2015 taxes with Whyte & Associates this year. We had a Hero loan due to a solar installation and was confused as to how that applied to our tax return. Tony took the time to answer all our questions and sought official answers to make sure they were able to get it done correctly. I was very impressed with his service and attention to detail. They have earned my business for years to come. I have been going to the same tax preparer for years. I received a notice from the IRS that I now owed money. I have been trying to contact my taxman for some time with no luck. I came across Whyte & Associates and spoke to Tony. He was very helpful over the phone and offered to take a look at our return as a consultation. He figured out where my taxman made the mistake. I was very impressed by his generosity and willingness to help. Great service is hard to find these days and I am happy to say these guys have it. I will be back this year! Thank you Tony!